Tween Tuesday is a weekly meme to highlight great tween reads. Leave a link to your Tween Tuesday post in the comments. Today's Tween Tuesday will be a movie review, since my husband and I went to see Percy Jackson & The Olympians: The Lightning Thief over the weekend. Both my husband and I are big fans of the books, but it's been a few years since I read the first one and my husband re-read the books about a month ago. But even with his recent refresher and my lack of remembering what was from the book and what was new, we really enjoyed it! I thought the casting was great-I loved all the actors, even though they aged-up the characters and cut out some of the gods. They did cut out Ares, which annoyed my husband, and the rest of the gods didn't have very big scenes-I would have liked to see them a little more. I really loved Grover-I think he was my favorite and exactly how I pictured him. And I really loved the casting of Luke-he was perfect, which made me happy, because the audiobook narrator's voice for Luke just isn't right-movie Luke was more right. Yes, it was different than the book, but we both felt it maintained the feel of the book. It wasn't as witty and snarky, which we would have liked, but it was still lots of fun. As we were leaving, a tween in front of us said "that was way more epic than the book!" and we both agreed. We went with some friends who haven't read the books and they both thought it was good, so even if you know someone who hasn't read the books, I think the movie is still enjoyable. They didn't set it up to continue to the series, so I'm not sure if they'll make more movies from the books, but there was still enough to keep it going if the studio decides to continue. But it was nice to not have a cliffhanger or something that would leave non-book fans feeling lost. Overall, it was a fun movie and one of the better book to movie adaptations to come along recently. Did you see Percy Jackson? What are your thoughts? This week I reviewed a Moxy book for Tween Tuesday. My review is here. My husband and I went and saw Percy Jackson over the weekend as well. My husband recently read the entire series, I am almost done with the first book (so he could not enjoy it as much since he hates it when the movie changes from the book). I thought it was a pretty good movie, I especially loved Grover, he made the movie for me! I curious to see the movie it looks good but you never know! I'm excited to see the movie soon! I did a post for Tween Tuesday, reviewing The Prince of Fenway Park. I'm so glad that you liked the Percy Jackson movie! I've been afraid to go see it because so many fans of the books have been disappointed. 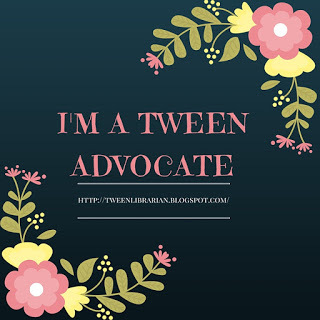 Today I did my first post for Tween Tuesday. I reviewed Heck: Where the Bad Kids Go. I haven't read the Percy Jackson books or seen the movie, but my students insist that I must do both and as soon as possible. I've just been so busy! Haven't got to Percy yet, I have to wait for my younger son. Older son and my husband went on Friday for a middle school field trip. I don't recall ever having field trips like that when I was in middle school! I haven't seen the movie yet but I loved the book. Hopefully when the weather gets better I will have a chance to go. Thank you for your review. I've read some mixed reviews. Some people were really unhappy about the changes from the book but your review makes me want to see the movie anyway! Also you have an award on my blog. My son chose to go to the movie for his ninth birthday and proclaimed it "awesome" which is always his highest award. He's read 2 of the books and is always a fan of books-made-into-movies. Knowing that of him and all of his friends, I would be surprised if they didn't continue making movies of the series. I also enjoyed the movie even though it differed from the book. My students who read the book were a little annoyed, but those who didn't thought the movie was fabulous. I think it was fine, and am so happy for Mr. Riordan's success! I loved the movie -- and you're right, it did maintain the flavor of the book. Although, I don't mind when books and movies differ -- different mediums after all.